If you’ve ever come into the salon before you will normally see me sitting at the front desk looking like I am buy working. Most of the time that’s true, but there are other times I am sitting up here and I see the strangest and hear the oddest things come from hairdresser. This is why I have decided to do today’s blog. You may thing they are just like normal people but after reading this you will probably find them a bit more funny. This may not to true for all hairdressers but I dare you to ask your’s if this applies to them, if it doesn’t I bet they could name a hairdresser they know who may do or say these things. You can find more of these @crystalspa03 or #youmightbeahairdresser, if you can think of more feel free to share them with me. Hope u fond these as interesting as I did. I will add more as the months go on, i’ll just sit back and wathc all the very odd and interesting things they do. It’s been a bit since I wrote one of these so I decided to make it something carefree. We all have hair so knowing hair tips should be on everyone’s list. I thought about all the things we do to protect our hair, our style, and out color without even thinking about it so we forget to mention them to other people. Also, I know this may be hard to believe but there are very interesting facts about hair out there that even I went “I’ll be darned’. I am however surprised by a lot of things so this may just be me. -Hair should not be brushed when it’s wet that will damage your hair. Invest in a comb and use that. 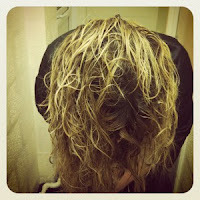 Combing through the hair wet or dry is less detrimental. -For good hair health, try wholemeal products, eggs, liver, kidneys, vitamin D, herrings, salmon, carrots, green vegetables, and vitamin C.
-Your face shape has a lot to do with how a certain style will look so when bringing your stylist in a photo to copy make sure the person in the photo has the same face shape. 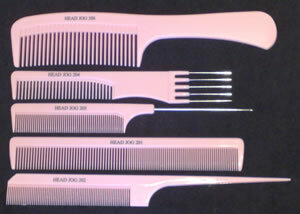 -Try avoiding teasing combs as much as you can. Invest in products that create volume. Also, they make hair accessories to help create that bump in the back. -When going to get your hair colored make sure it’s clean. 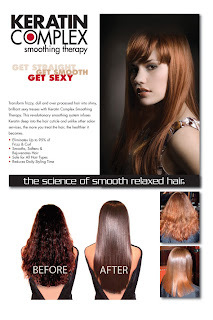 Some products can darker the hue of your hair which can interfere with choosing the right color for you. -Most products that increase volume are heat activated so throwing it in and letting your hair air dry won’t work as well. Try taking the blow dryer to just to root of the hair if your in a pinch for time. -When talking on your phone always put it under your hair. This will prevent it from being flatted if you are going for volume and frizz from the heat of the phone. -Try to avoid wearing elastics. No matter what time the elastic is eventually it will cause stress on that part of hair which causes it to break. That’s right those aren’t baby hairs growing, it’s hair you snapped off. -Sleep with a satin pillow and wrap your hair (terry cloth not cotton) at night if you go to bed with wet hair. It will reduce frizz PLUS if you have straight hair and wrap it right you can wake up with beautiful beach waves. -If your doing an at home updo, spray dry shampoo on the bobby pin before you put it in the hair. It will give the bobby pin a little extra grip which will reduce slipping. -End everything with cold. After a shower turn the cold on and run your hair under it. When blow drying your hair do the last part on cold not hot. This gives your hair a skinny healthy look, it also locks in your style when blow drying. -It’s not all in your head. Hair actually does grow faster in warmer weather. -Hair is the fastest growing tissue in yoru body, second only to bone marrow. –When you get goosebumps and your hair stands, the hair helps to trap air, making you feel warmer by keeping in your body heat. – One human hair can support 3 ounces. -Hair grows faster during the day then at night. -Pulling out 1 gray hair does NOT cause 7 to grow back. What it will do however is cause damage to the root preventing any other hairs to grow back. – Many believe that frequent washing of the hair, increases hair loss and regular cutting of the hair increases the growth of the hair, which are both inaccurate and false. 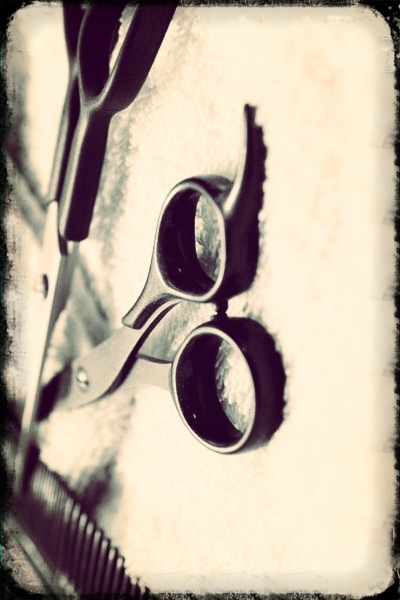 -Cutting the hair will help the hair grow longer then it would have before the cut but it doesn’t help it grow faster. Let’s talk about something no one really wants to discuss…lice! I know it’s one of those subjects where the moment you hear it your head starts itching. 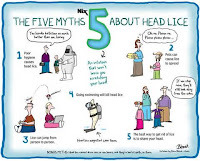 Knowledge is power so I want everyone to be educated on common myths about lice, ways to prevent it from happening, and treatment for when it does happen. 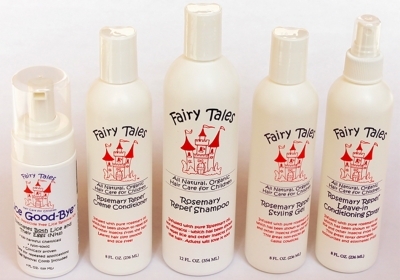 I will be focusing mainly on one lice product called Fairy Tales because I have seen amazing results with this and I personally use it. You will notice a common theme in my blogs, that I use the products I write about because if I wouldn’t put them on me then I wouldn’t suggest you do either. You can get head lice from Pets! Truth: No, you can’t. You can get fleas from pets but flea’s aren’t lice. Lice attacks humans it doesn’t attach to animals which means we can’t give it to them and they can’t give it to us. Only people with long dirty hair get lice! Truth: About that, lice can’t breath in greasy hair so they are more commonly found in people with clean hair and they truly could care less about the length. Lice can actually live 24 hours underwater, soap and water have no effect on these little buggers. Lice jump from head to head and can live on clothes, beds, carpets, and couches! Truth: Lice don’t have the ability to jump. They go from host to host by crawling from a piece of hair to an item of clothing to a backpack. Lice can be dislodged from the head by air or fast movement which only gives the illusion of jumping In fact, they can’t live off a human host over 24 hours. Yes, cleaning the sheets and clothes are a good idea if you have lice but off a human they don’t last long. 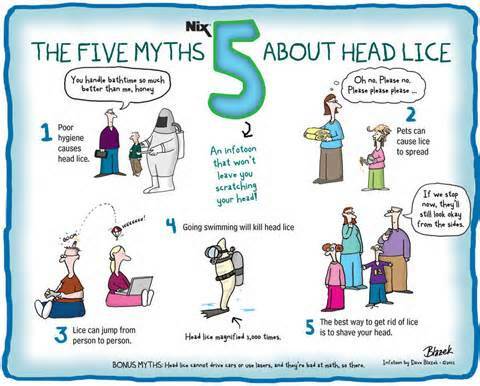 Head lice can carry diseases that could potentially kill you! Truth: Considering the fact that over 80% of schools have a lice outbreak a year I think our lifespan would be a lot shorter then it is today. They do not carry diseases. They are obnoxiously annoying and can cause your scalp to become red, sensitive, and itch but it’s not gonna give you malaria. Gasoline or Kerosene is a good lice treatment. Truth: Every year someone manages to kill or maim a child because they believe that gasoline or kerosene is an effective lice killer (they are not). The volatile fumes will combust. These products should not be applied to the hair. *African Americans do not generally get lice. Their hair shafts are of a different shape which lice have trouble adhering to. In Africa however, the lice have adapted to this hair shaft and Caucasians are immune. * Lice and Nits will die at temperatures over 130 degrees Fahrenheit. So washing cloths in hot water or using the dryer can effectively eliminate the problem. *It takes your immune system 4-6 weeks to develop a sensitivity to louse saliva. Meanwhile a female louse can lay 6 to 10 nits a day. By the time you actually start itching, several generations of lice may be in happily residing in your hair. There are really only a few things you can do for head lice prevention and unfortunately non of them are 100%. Anyone can catch head lice from anywhere which means prevention is key. I strongly suggest looking into a line called Fairy Tales. Our customers swear by the stuff. There is a repel spray and spray conditioner you can put on your hair every morning and it will help to repel the lice. All of the Rosemary Repel products are now free of gluten, nut soy and dairy. I would also suggest using the shampoo that goes with the line. I worked in daycare for over a year and we had outbreaks of lice but I used the spray EVERY morning and never got it. Same goes for my six year old nephew. You need to remember to use this EVERY morning, if you go one morning without it then you can get lice. This again is my personal experience. *Only treatment will not get rid of everything. You need to do at least two depending on how bad the infestation is. FT Lice Good-Bye has enough in it for two treatments. *If someone wears contacts or glassed make sure to take them off. You don’t want to get this stuff in their eyes. Especially if they wear contacts. 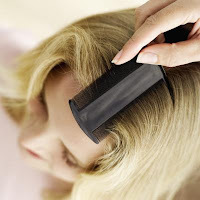 *Even after you do the treatments and get rid of the lice you should continue to do daily checks for the next 21 days. *There is no need to treat everyone in the house only the people who are infested. So there has been a lot of hype lately about gel polish and all the horrible things it does to your nails and then there are the people who rant and rave about them. Due to this I have decided to do a page on both aspects of Gel polish.I read article after article on gel polish and I have to tell you some of them are a complete joke. I feel like some of them were written just to get a rise out of people. I will tell you I do get gel manicures, that doesn’t mean my opinion is biased, it just means I read both sides and made an informed decision. That is not saying my opinion is right, it’s just mine.All that being said, just like with anything in life the bad comes with the good, but it doesn’t always outweigh it. To be bluntly honest I think they only reason people believe all his hype is because they are naive on the subject, they read about chemicals, damage, light, cancer, and instantly go “OMG this must be bad, I’ll never get a gel manicure.” That’s kinda like when the mechanic gets you to buy car parts you don’t need because he knows your not fully versed on the in’s and out’s of cars. Enjoy Reading. “Gel nail polish is set or cured with ultraviolet light. Think of the light as baking the polish into the nails. The problem is that ultraviolet light is essentially sunlight and sunlight causes skin cancer” Dr Susan Taylor. WWWOOWW, that’s all I gotta say. Let’s get serious for a moment, they are claiming they are like small tanning beds? New research shows this is a crock. There is no research what-so-ever that shows correlation between the two women’s skin cancer on their hands and UV light from nail salons. 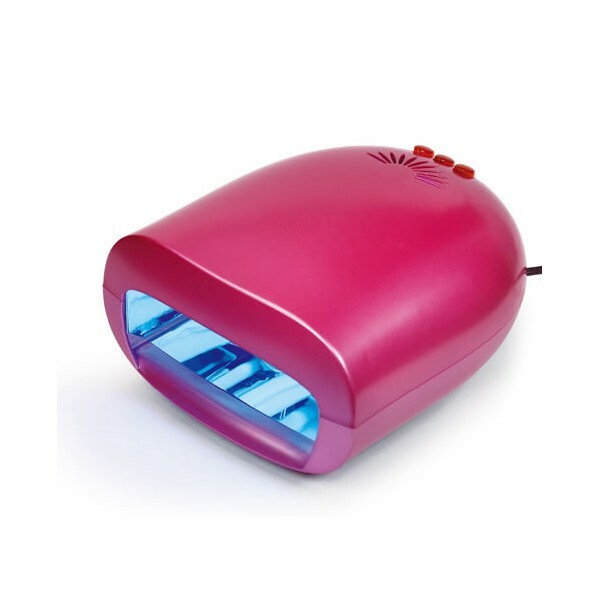 The bulbs used in UV nail lamps contain special internal filters that remove almost all UVB which means they are less damaging then natural sunlight. The amount it exposes you to is the equivalent to spending 17-26 extra SECONDS outside a day between nail appointments. Test results show that UVA exposure for client skin is equivalent to spending an extra 1.5 to 2.7 minutes in sunlight each day between salon visits. Those tests are from what an AVERAGE person spends outside a day. Personally, I’m well over the average daily sun exposure and I bet if you looked it up you are too 🙂 If you are seriously that worried over this hype put some sunblock on your hands before your appointment, just make sure your nail tech knows that because sunblock on the nails can actually prevent the manicure from curing. I find this one to be my biggest problem with gels. It’s true what they say about acetone it does cause your nails to become dry and brittle. I won’t argue that and I don’t have anything to disprove those statements. However, most nail polish removers you use have acetone in them so even if your just getting a regular manicure you still have to get the polish off. There are nail polish removers out there without acetone but unless your using a water based solvent (personally I feel I have to scrub forever and leaves a hue of the color behind on my nail) even the non-acetone nail polishes have a chemical in them that will dry out your nails. Silver lining, it’s very easy to reverse the damage done with acetone. Just a little TLC involving cuticle oils, moisturizers, and taking your daily vity 🙂 I would also like to add washing the dishes, the counters, doing yard work can dry out your nails as well so a nightly nail treatment is a good idea anyways. Unless you do absolutely nothing to your nails there is always a chance of damaging them. Have you ever actually read the chemicals in a regular nail polish? If you want a way to make your nails hard this is a wonderful alternative to Acrylic nails. Yes they have to buff the top to put the gel polish on but they don’t take a drill and file your nails down to nothing. I used to wear acrylics and now I am all about gels. If you want to talk about damage, put a pair of acrylic’s on and tell me how your nails look after. My nails are durable and shiny and they don’t break like they do with regular nail polish. I don’t see through my nails like I used to be able to do. My cuticles are always pushed back and shaped because you can’t touch the gel polish to the cuticle or it will lift.The damage that is done while your getting gels is nothing more then you would do getting a regular manicure or in everyday life. Not to burst anyone’s bubble but this is a main ingredient in most nail polishes. It is a polymer that provides the cohesiveness of the coat once the polish hardens. It’s full name is ethyl methyl acrylate. A large amount of the articles you read on this chemical are actually about methyl methyl acrylate which was banned because of the scientifically proven detrimental health effects it causes, including respiratory issues. 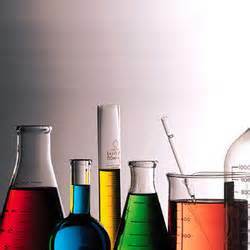 As of today, there is no study that shows respiratory issues which this chemical. You also need to remember the way you are exposed to this chemical is when the polish is drying and evaporating into the air. That’s a very very small amount if you think of the amount of product that’s used to paint your nails. Also, they talk about allergic reactions near the eye, I am not sure why you are putting nail polish near your eyes but once its cured to your nails it’s fine to itch your eye. I found that to be the funniest part of the articles. Side note, if you did get a reaction it’s easy to fix with benedryl. If you know nothing about nail polishes, the first thing you should know is the base coat and the top coat make the polish. With summer finally here I think it’s a good idea for everyone to know how to prevent those nails from chipping and breaking especially since you will be showing them off more. 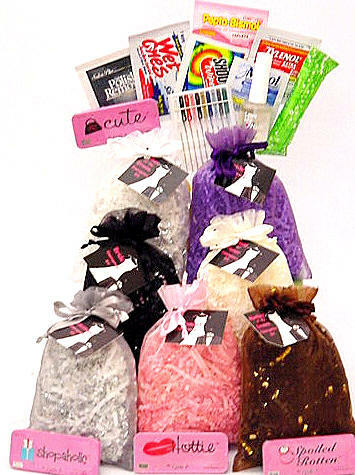 The top coat is like the icing on the cake, a good top coat can fill in any imperfections, chips, make nails stronger and thicker, just like frosting can if you mess up a cake. My favorite part, once I discovered the right top coat for me I actually stopped biting my nails. It’s true the base coat needs to be right as well but I am going to focus on the top coat today. This is by far the best top coat to use. I know the stigma out there about gel nails ruining your nails, and maybe it’s true, but I have never had problems with my nails and I redo my gel every other week. Not because they need it but because I get bored with the color. 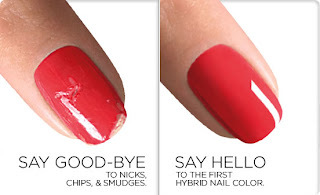 You don’t have to use gel polish to use the gel top coat. You can put it right over regular nail polish. The only problem with this is that you need a UV light to cure it on and they are not cheap. My nails don’t chip, they feel thicker, and they are hard. It gives a beautiful luster to whatever color you chose. If you read any reviews you will see this is one of everyone’s favorite top coats. The thing that sets this apart from the rest is that it’s a three in one. It’s a base, a nail strengthener,and a top coat. I love this because it’s a thick top coat and it dries fast. It’s again more then some cheap nail polish you find at a drug store but it’s well worth it. My manicures last me 5-7 days with this top coat on and I am not gentle with my nails. 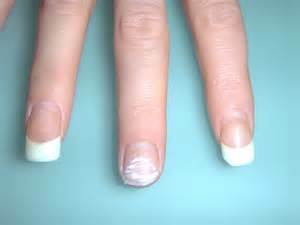 It doesn’t turn the white’s of a french manicure yellow like some top coats will and it helps protect your nail color from fading in the sun. My red’s look at red as the day I put them on by the time I need to redo my polish. I have heard many wonderful things about this top coat. Like the OPI polish, it helps protect against fading with the color, it doesn’t turn whites yellow, its thick. Actually if you ask most people OPI and Seche Vita are pretty comprable in there pro’s and price. However, the one thing I noticed and found a lot of other people did too who used this was that is shrunk your nail polish. Odd sounding, I know, but it makes it so you have a little nail showing all around and because of this I feel like I need to redo my polish before it actually needs to be changed. I go about 4-5 days before I change my polish with this top coat. Also, I find this top coat has a stronger smell then any other nail polish I have used before so if you are sensitive to smells I suggest you steer clear. This has gotten so many mixed reviews I wasn’t sure whether to add it or not but in the end I decided too. I like this polish. 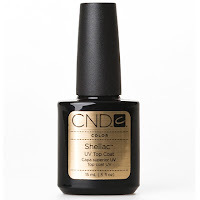 They are true to their name in the essence that your nails are very hard after you put the top coat on. This is a big plus for me because I used to be a nail biter so my nails are more brittle then most people’s which cause them to break easier. It gives the polish a nice luster and helps prevent against your color fading but when it comes to paint chipping I don’t feel it does as well as the others. 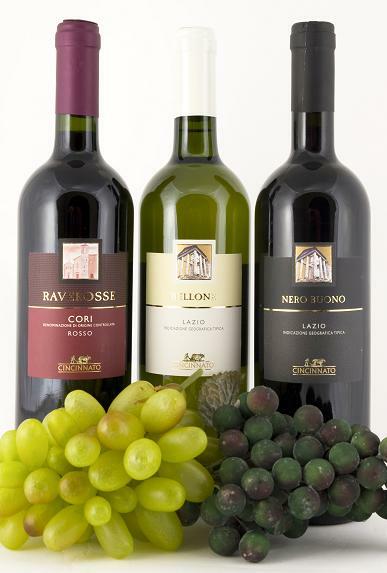 The price is cheaper then the other ones on this list which is nice if you are on a tight budget. It’s also really easy to find you can get it basically anywhere that has nail polish. 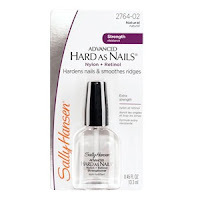 Sally Hansen is a big nail polish drug store line so you can get it in a pinch. However, I find that once your bottle gets below half full, or a little old, it does take the polish longer to try and becomes more tacky which means it will have to be replaced more often. These days Keratin Treatments are a big deal and there is a good reason why. These treatments do amazing things for your hair. As a receptionist I normally get the phone calls with people asking what does it entail, what’s the difference between a Keratin Smoothing, Keratin Blowout, how should I prepare, what are the effects, how long in between treatments should you go, and is there anything special you should do afterwards. So, I have decided to do today’s blog on answering all of those questions. The Product: Every salon you go to will be different but at Crystal’s Spa and Salon we use the Keratin Complex line for our keratin treatments. Salons will advertise that they do Keratin treatments and it’s true they do but every product line is now coming out with their own Keratin product which means not all are Keratin Complex. Keratin Complex is made from sheep’s wool. This is the most natural form of Keratin you can use. The Keratin you get from sheep’s wool is almost identical to the Keratin in human hair. This means we aren’t adding anything to your hair that it wouldn’t produce on it’s own. The sheep they harvest the wool from is from New Zealand, Keratin Complex does this so that the air and the food the sheep eat is as natural as it can be. They don’t want to get Keratin out of a sheep’s wool that ingests by-products or chemicals. Just like with human hair whatever a sheep eats or breaths in will come out in it’s wool which will effect the quality of the Keratin. 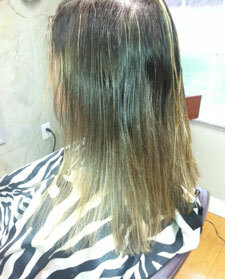 Unlike other ways Keratin treatments are done, with Keratin Complex it is impossible to over Keratinize your hair. When you over Protinize or Keratinize your hair it can cause your hair to become brittle and even break, you are able to do this with other keratin products due to the way they make their Keratin but not with Keratin Complex. This leaves you worry free! Keratin Complex Smoothing Treatment– It’s smoothing system that infuses Keratin deep into the hair cuticle, eliminating up to ninety-five percent of frizz and curl and leaving the hair smooth, shiny and luxurious. Results typically last 3 to 5 months depending on hair type.Unlike other salon services, the more you treat your hair, the healthier it becomes. With each treatment, the build-up of Keratin makes the hair: Smoother and Silkier, Straighter and Shinier, Easier and Faster to blow-dry, Close to being “maintenance-free”, Promote Healing,Block the effects of humidity, Prevent environmental toxins from entering the hair. Keratin Blowout-The express version is cheaper, faster, and requires much less “downtime” than the original.It leaves hair frizz-free for up to six weeks but leaves your curls if you have them. You can shower just eight hours post-treatment instead of the challenging three days you have to hold out for the original. The Price: This is going to very everywhere you go depending on the salon, the product line used, the city, the state, the person doing the treatment. Q: How accurate are the estimated time the treatments will last? A: Everything depends on your lifestyle. If you washing your hair every day or twice a day it can dramatically cut the time down. 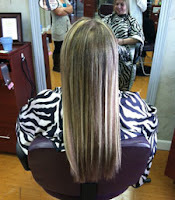 If you are using shampoo’s or conditioners other then Keratin Infused ones it will affect the life of your treatments. Not waiting the required time before washing it will affect the treatment. Lifestyle, lifestyle, lifestyle. Q: Can the Keratin Smoothing Treatment be done on chemically treated hair, previously relaxed or straightened hair? Q: How often can the Keratin Smoothing treatment be done? 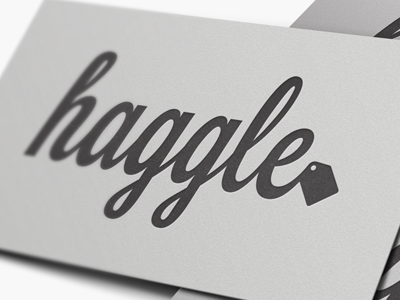 – The price will vary for each person. It is 100.00 an hour to get the extensions in but it’s 35.00 per pack of hair. These are the prices for Crystal’s Spa but each salon will vary. Here’s where reality hit and it hurts. On average most weddings cost around $15,000, ouch. This isn’t saying weddings aren’t done cheaper, it’s just an average. The part that will cost you the most is the reception. This isn’t because you hired Boys 2 Men to come sing at your wedding it’s because a lot goes into a reception like venue, food, drinks, music, flowers and photography, and that’s still leaving some out. 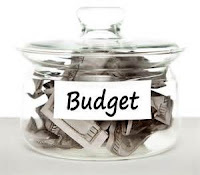 Budgeting is so important when it comes to a wedding. Set a limit and stick to it even if that means cutting back in some areas which will more than likely happen even if you have a ton of “Do-It-Yourself” projects for your wedding. Sit Down With The Future Spouse: It’s true, way back when, each side was responsible for paying for different parts of the wedding. Today, that’s a nice dream. 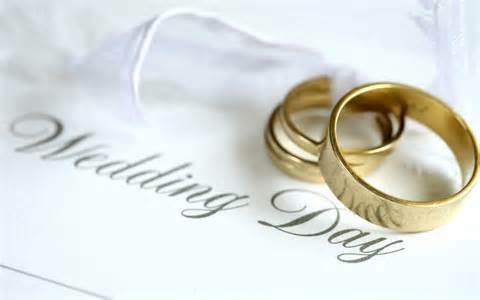 You need to sit down with your future spouse and decide what you want and what they want for the wedding. Two hard truths, first what you want and what they want will most likely be very different, and second, what you want and what you can afford are very very different. This is where you will probably learn the art of compromising which will be needed throughout the entire relationship so starting before that big leap is good practice. Pick one thing you really really want and one thing they really really want and go from there. Every Penny Counts: Doing something as simple as choosing a weekday to get married on can save you a lot of money. Weekends are the most popular time to get married so obviously chapels, churches, or destinations are going to be more money because people are money smart and will increase the prices on weekends. Getting married on a weekday isn’t that bad and I find you have less drunken accidents because people are conscious of the fact that some of them have to work the next day. This doesn’t mean I am saying none will happen, just less of them. Also, weddings in the winter aren’t as expensive as the summer and spring. In the salon world, June, July, and August are the “wedding season”. 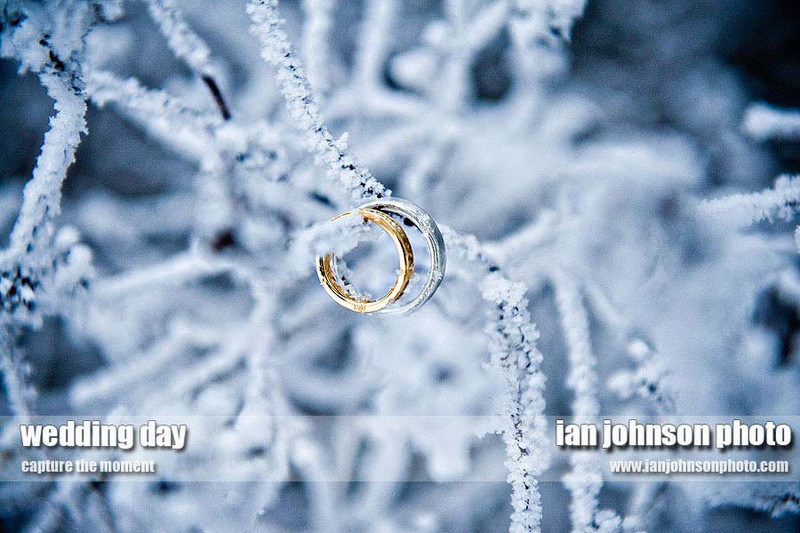 Get married in an off-season which is November thru March, winter weddings are beautiful!! Stick To Your Budget: Your wedding means the start of your new life. This means buying a house, having kids, going on vacations, doing things that also involve budgeting and saving. I promise no long how you have been together money is always an issue whether you have none or a ton. 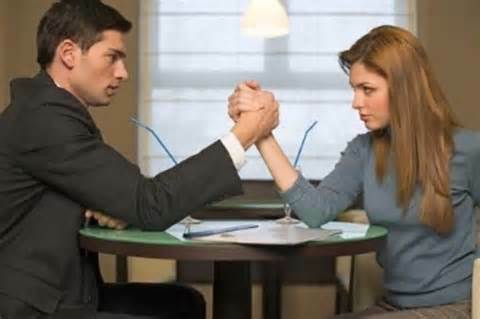 Which means you will have enough financial pressure and stress without adding wedding debt on top of it. No one wants to start a new life with debt from a wedding, if you went to college I am sure you have student loans and those will be enough, no reason to add more. You want to start your life with a clean slate not look at your credit card bills every month and think to yourself “I can’t believe I am still paying for that one day”. Month after month seeing these bills you will most likely come to resent your wedding not rejoice it. Make a huge list upfront of everything you will need then write down if any family members are paying for anything then reduce and figure things out from there. Alcohol: This topic always seems up for debate depending on who you talk with. I am giving you advice from reading article after article that doesn’t mean you were at a wedding where things were done different and they didn’t spend a lot. If you don’t have to buy your alcohol from the venue where you’re having your reception, buy your own—you’ll get it cheaper and be able to pick out what you want. Have a limited bar as opposed to an open bar. Cut back on the number of different kinds of liquor you provide—nix the mixed drinks, have champagne only for the toasting, and then serve one each of basic wines (red, white and blush) and one or two kinds of beer. Flowers: As I talked about before there are many ways to save on flowers. You can make them out of ribbon which means no real flowers needed. 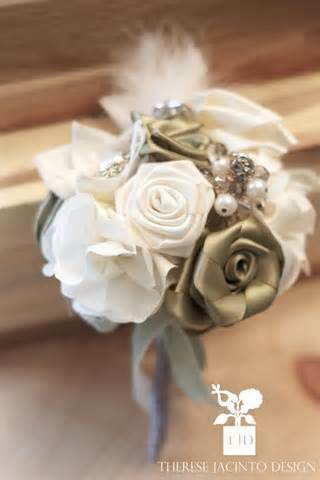 You can pick them yourself and make your own bouquets depending on what season you get married in. You can cut back on the flowers when it comes to decorations. Line your aisle with ribbon and bows, not bundles of roses. Keep in mind although all these flowers are going to look beautiful on your wedding day they will die soon after and unless you specifically ask to keep them or tell your guests they can take them home the reception hall or church will most likely just throw them out. Throwing money in the garbage doesn’t seem that financially smart to me. Don’t Say Wedding!! Okay so this part may be a little on the sneaky side but it really does save you money. Don’t say the word wedding. You will be amazed how the prices of flowers and venues go down when you say ‘party venue’ or ‘reunion flower’ instead of wedding flowers or wedding venue. That’s CRAZY right! I didn’t believe this when I read it so I tried it out myself by calling different flower places and seeing if the prices really did change, and they did. It’s amazing how one little word can change things. Haggle: People need to make money just as much as you need to save money so when they say a price don’t be afraid to haggle. Tell them there is absolutely no way you will be paying that price for flowers, or food, or a cake and you will be surprised how quickly they drop the price instead of losing the sale completely. Keep this is mind when you are looking for a salon too, if you are doing a lot of things with them a lot of the time they will throw in a discount without a problem.